Which Soft Skill Set Your Project Manager Need To Have? What is ISTQB and its benefits? The demand for testing in the quality assurance industry is on the rise nowadays. According to the World Quality Report 2015-16, the budget for quality assurance is going to reach 40% of the IT budget in 2018, so you can understand why many people are finding their way into this promising field. One of the ways is to obtain a manual testing certificate. These certificates provide proof that someone has somewhat knowledge and skills in software testing. Right now, one of the most popular testing certification in the world is ISTQB. 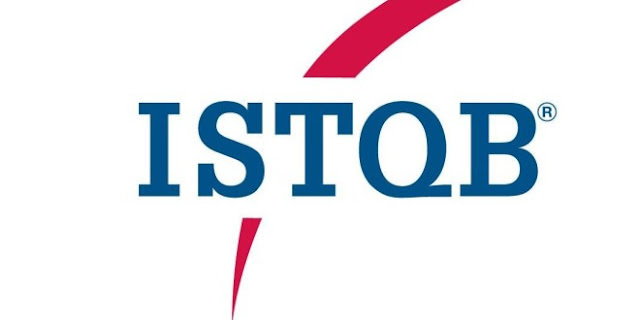 ISTQB stand for International Software Testing Qualifications Board - a non-profit organization issue thousands of internationally recognized certifications over more than 70 countries. That why, In this article I will focus only on it. The only criteria are to have 6 months experience in the testing position. This level demonstrates the understanding of the basic concepts of software testing. Anyone can take it, even if you have nothing to do with the IT industry. test design; test management and testing tools. sophisticated test management concepts for managers. Design for those who have at least 8 years experience as a tester. It also helps tremendously with professionals who have years of experience. ISTQB Certification helps you gain knowledge about the standard testing definitions and updated technology, so you can have more opportunities to enter a new market. But the most fundamental benefit is to help skilled tester reduce defects. For software development companies, these certificate help reduce cost and offer greater efficiency and speed, and higher software quality since it’ll be able to reach to knowledgeable and skilled employees. Your companies can also qualify lower tech insurance costs if you hiring ISTQB certified employees. However, I hope you understand a manual testing certification like ISTQB can’t be enough if you are looking for growth in this technology world. It can be a great extra to your profile but if you want to get somewhere, you must keep learning new things and keep up with all new innovation. How to Become a Software Tester? Software testing plays a critical role in the quality and usability of the final product. Testing at times is a demanding position on the rise. If you are one of those who wants to have a foot in, then you have come to the right place. This post will give you an insight on how to become a software tester. What is a software tester? They are the quality assurance experts who root out bugs and save end user from poor performance and highly buggy software or application. They are a part of what builds a good company image for decreasing support calls from frustrated customers. How can you become a software tester? International Software Testing Qualifications Board (ISTQB) - This is one of the most the popular software certificate in the world - an excellent investment that makes your resume stand out. Rapid Software Testing (RST) - a methodology focus on testing software. It is not mandatory, but most of the companies have this criterion. Having this will give off an excellent impression and ensure a better chance to land the job. A newbie can also find internship programs to give you a good experience. Maybe you will have to work for free but try your best in this position because a letter of recommendation and influence reference is going to help you wonder. You need to have a solid background in this field in other to excel in this. Most people work in the tech industry must have self-learning skill, a strong passion and a mind of curiosity. There are many open resources for tester out there for you to explore. Try reading good books, blogs or articles about software testing, working on various tools, keeping up with the latest trends. According to the World Quality Report 2015-16, the budget for quality assurance expert in tech companies is going to reach 40% in 2018. This has indicated that software testers have become promising jobs at the time. If you want to become a software tester, then you should prepare as soon as possible, not just about knowledge but also about your non-technical skills like critical thinking, analytics, communication, etc. You should start spending time browsing jobs sites like Linkedin, Indeed, and Dice. Make sure to have a well-written, scannable resume, and you’ll better consider composing a cover letter before sending out applications. Practice mock interviews. Take the feedback and fix the issues after mock interviews. Here a small tip: if you are finding the job when having little experience than your attitude is what difference you from other candidates. Don't worry too much since you are a newbie in this field employers won't expect you to know complex ideas. Testing can be an exciting area since it doesn’t focus on just one particular technology. But, in the end, what matters the most is the pure passion that will lead you to success if you truly want to become a software tester.